Act I – The ghosts of the court of Louis XVI arrive at the theater of Versailles. 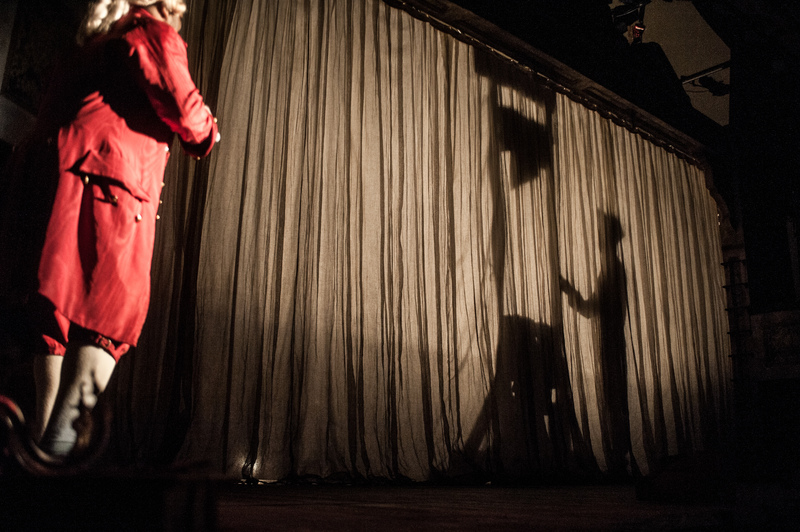 Bored and listless, even the King is uninterested when Beaumarchais arrives and declares his love for the Queen. 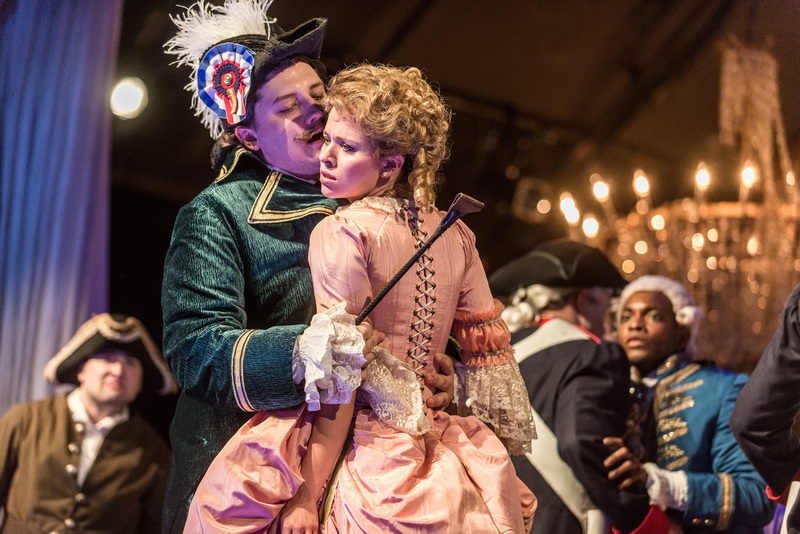 As Marie Antoinette is too haunted by her execution to reciprocate his love, Beaumarchais announces his intention to change her fate through the plot of his new opera: A Figaro for Antonia. The cast of the opera-within-the-opera is introduced. 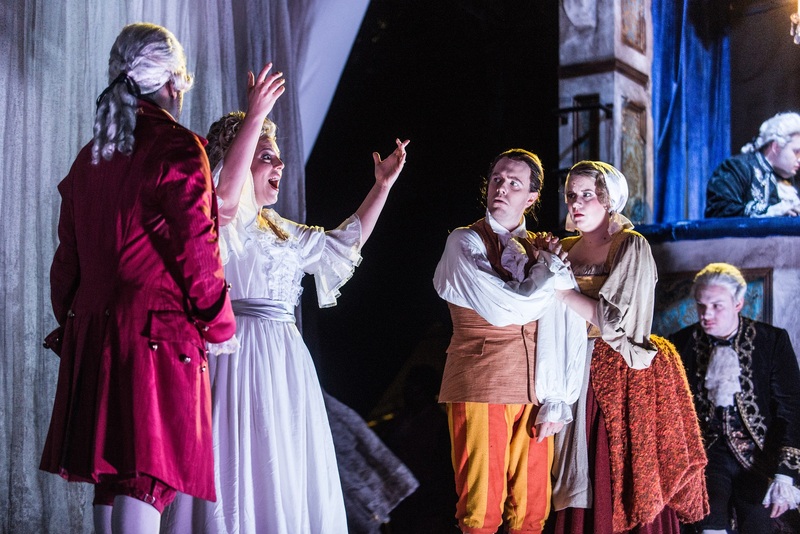 Following the familiar escapades of the Figaro characters, Count Almaviva has become estranged from the Countess, who has borne a son, Léon, with Cherubino. Léon wants to marry Florestine, Almaviva’s own illegitimate child, but the Count has forbidden the union as retribution for his wife’s infidelity and has promised Florestine instead to Bégearss. Figaro enrages the Count by warning him that his trusted Bégearss is in fact a revolutionary spy. Figaro is fired, but overhears Bégearss and his servant Wilhelm hatching a plot to arrest the Count that evening at the Turkish embassy when he sells the Queen’s necklace to the English ambassador. Figaro intercepts the plot by infiltrating the party, dressed as a dancing girl. During the outrageous performance of the Turkish singer Samira, Figaro steals the necklace from the Count before the sale can take place, and runs away. 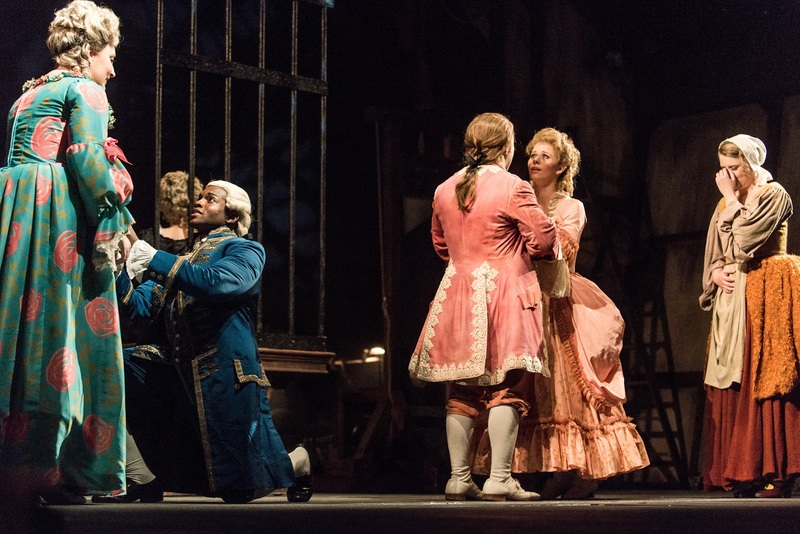 Act II – Figaro returns only to defy Beaumarchais’ intention that he return the necklace to the Queen, as he wants to sell it to help the Almavivas escape. 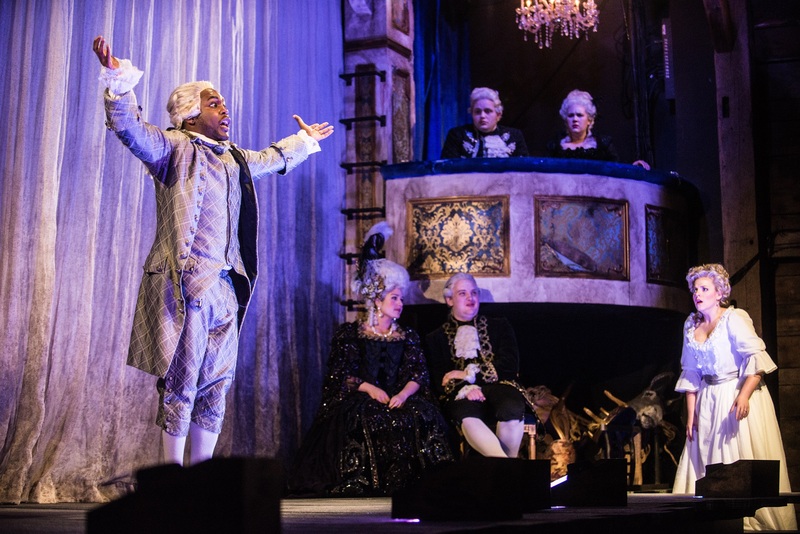 To put the story back on course, Beaumarchais enters the opera and shocks Figaro into submission by allowing him to witness the unfair trial of Marie Antoinette. The Count, swayed by his wife’s wishes, rescinds his offer to Bégearss of his daughter’s hand. Even though Figaro gives him the necklace, Bégearss is enraged and sends the Spaniards to the prison where Marie Antoinette lingers. Beaumarchais and Figaro, the only two to escape, arrive at the prison to try to rescue the Almavivas. They are shortly followed by Bégearss whom Figaro denounces to the revolutionaries, revealing that he has kept the necklace rather than using it to feed the poor. 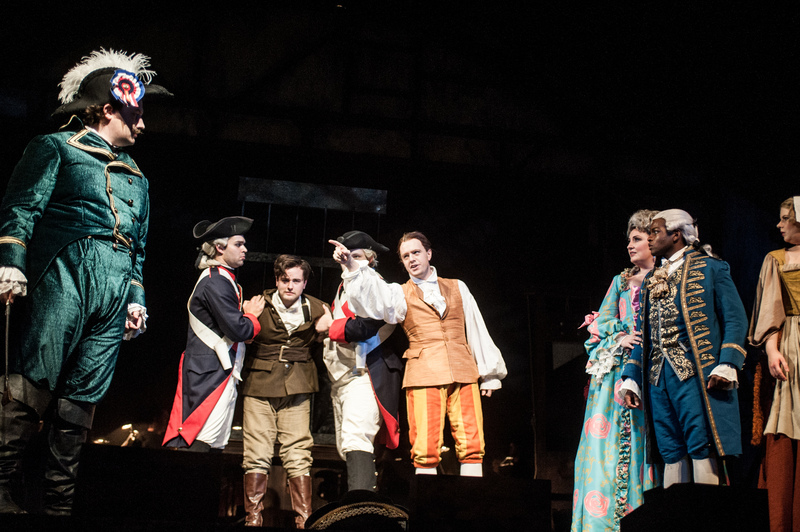 Bégearss is carried off, the Almavivas escape to America and Beaumarchais is left with the keys to the Queen’s cell. But the power of his love has made the Queen accept her fate and she refuses to let Beaumarchais alter the course of history.